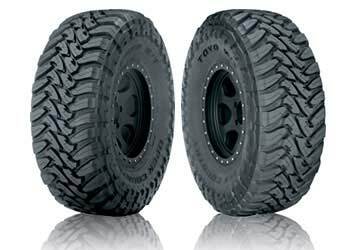 Toyo Tires, one of the biggest names in racing, is kicking off their 2014 season with a victory at the 2014 Lucas Oil Off Road Racing Series. Piloting the #99 Toyo Tire F-150 truck is Kyle LeDuc, who says his Toyo Tires are the reason for his wins. “The tires were key here at the first Round in 2014,” says 32-year-old Leduc. In addition to their win at the Lucas Series, Toyo also announced their release of three new tires to their commercial line at the Mid-America Trucking Show in Louisville, KY. Click Here to learn more about what Toyo has in store this season. This entry was posted in Tires and tagged lucas off road race, Tires, Toyo, truck. Bookmark the permalink.